#TeaTuesday is here! And helping me wake up is No. Six Depot&apos;s English Breakfast. No. Six Depot is a small-batch café and gallery in the Berkshires, Massachusetts. They make and serve their own tea and coffee, and what looks like amazing food. The gold tin is modern and simple. 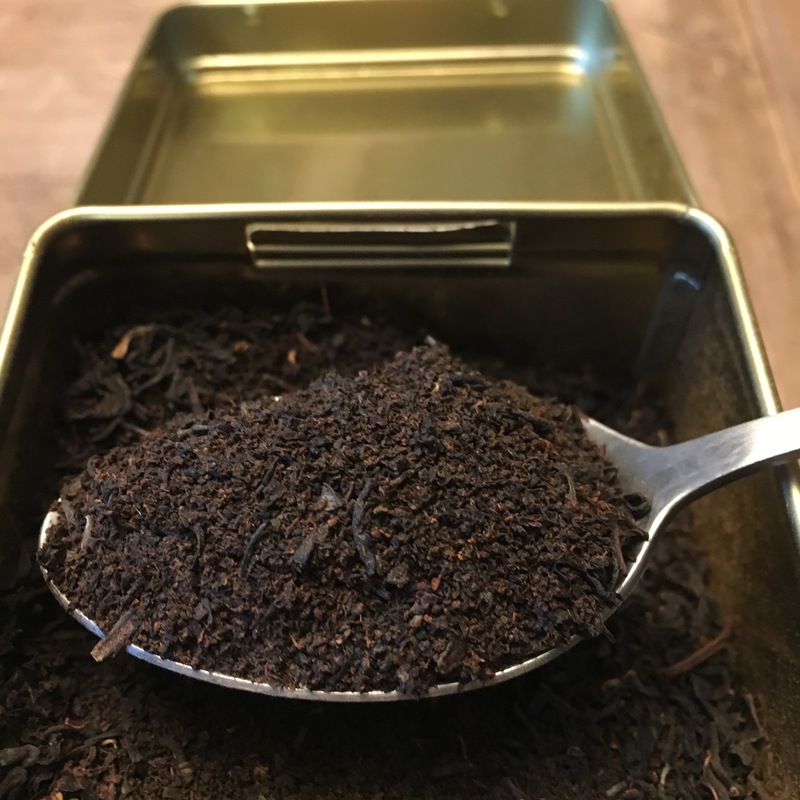 Once you open it, you see a mound of dark tea with hints of red. There are only a few leaves, most of the tea is "Fannings Grade", possibly mixed with "Broken Leaf Grade". The brewed tea is incredibly strong. I&apos;d suggest using less than a teaspoon per 8 oz cup as a little goes a very long way. The flavor is good but it has none of the nuances you&apos;ll get in a "Whole Leaf Grade". It finishes with a bold, astringent mouth feel. Overall, a strong tea to wake you up, very much suited to milk and sugar. This would probably be a good tea to use for making tea-flavoured ice cream, as the flavour is quite concentrated.